Tokugawa Ieyasu said, “When I die, first pay it to Kuzan and make it a god as a god. Do a funeral at Zojoji and set a tile in Dikiji in Mikawa. 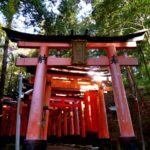 When the first anniversary passes, build a shrine in Nikko Mountain. It will be a guardian of Kanto Hachijo. “I told you. After death, Toyotomi Hideyoshi was enshrined in the Toyokuni Shrine in Kyoto and was worshiped as a god. Ieyasu Tokugawa may also wanted to be worshiped as a god after death. Also, the ancestor of the general of the Tokugawa shogunate became a god and tried to keep the authority of the shogunate unshakable. 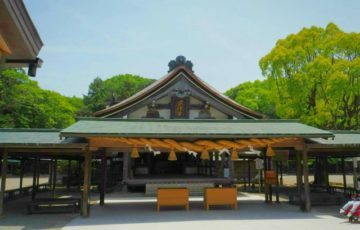 After Ieyasu ‘s death, it was buried in Kuzuyama in Shizuoka city Shimizu Ward, and then a tile was placed in Daigi – ji Temple, Tokugawa – Matsudaira’ s family temple. 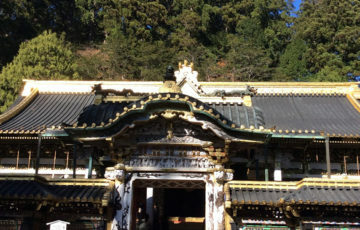 At the same time the construction of the shrine started in Nikko Mountain. 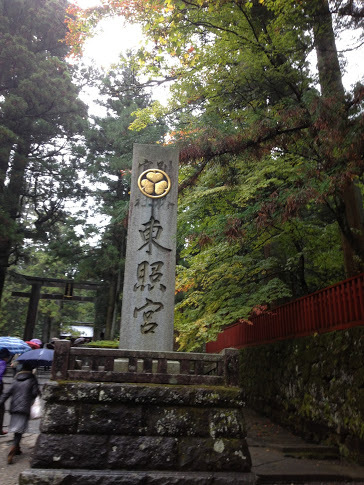 Nikko is the place of the mountain faith that the victorious dojo who climbed the current man’s mountain Mt. Futarashi (Nutsu), the Nara era opened, collected the respect of Kanto samurai. 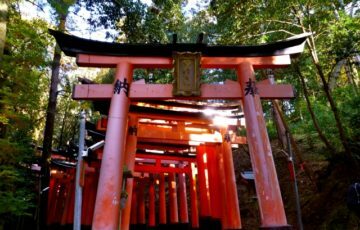 Kamihiko Koumi entered the mountain in 820 and came to be called Nikko since it marked the mountain of “Onigiri (Japanese sunshine)” read on Mt. Arabayama. At Arakiyama, there are now two arayama shrines. This shrine also admired also Yoritomo who opened the Kamakura shogunate. However, it went down in the age of warring States. Ieyasu, who gathered East God to call Genji descendants and played Unification Tengoshi, respected Yoritomo Yoritomo. 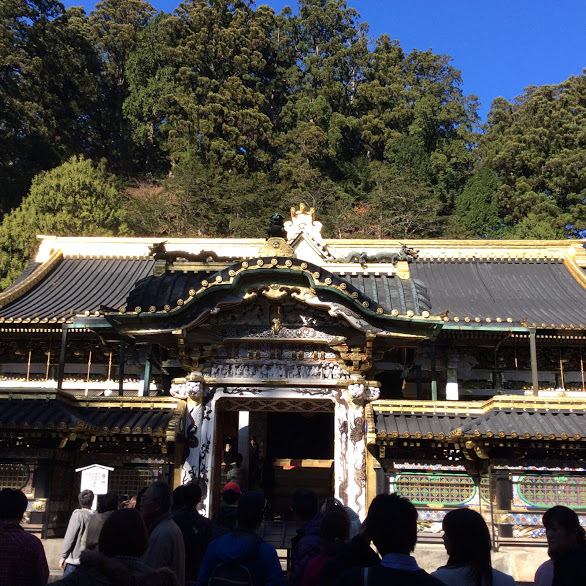 Although the god of Nikko Toshogu is Tokugawa Ieyasu, it can be seen that Ieyasu respected Yoritomo, also because Toyotomi Hideyoshi and Yoritomo were enshrined in Kodo. 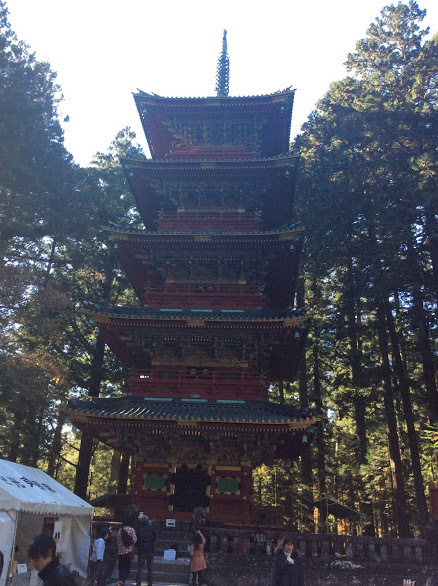 In 1613, we plan to revitalize the sunlight by taking the priests and heavenly seas of Tendai sect, who was an aide of Ieyasu, as conspirators of Nikko Mountain. Ieyasu may have tried to develop sunlight by setting himself in sunlight. 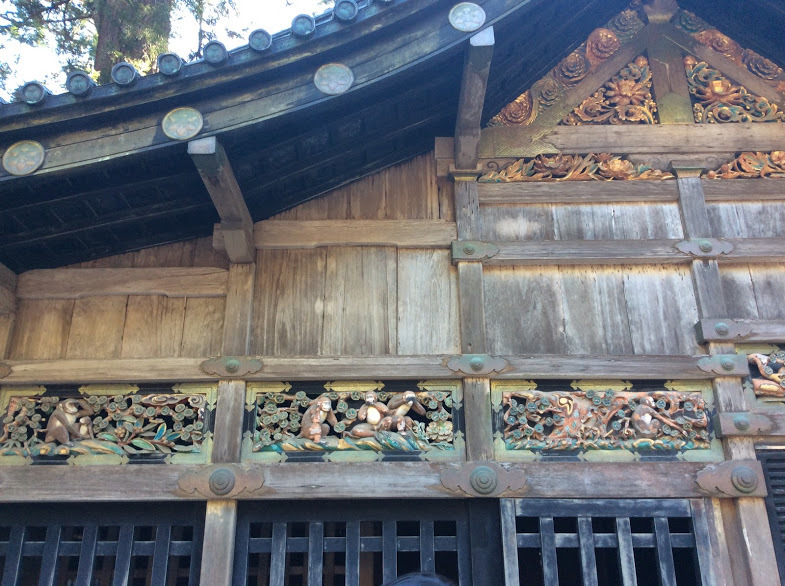 Nikko Toshogu is strongly influenced by Yin Yang. When connecting the main building in the precincts, the Big Dipper appears. Also, there is a North Star at the north side of the Torii gate, the Yomei gate, the Temple gate and the main shrine, and the Edo town on the south side. In other words, it is built almost in the north of Edo. Polaris star was considered the supreme god in ancient Chinese Taoism. This is called Hokushin Faith. And when the Yin Yang affected by Taoism occurs, the Big Dipper circling the North Star will also be believed as a star that dominates longevity and richness. Something is missing that Cassiopeia does not appear. So at night, the North Star will always shine just above the Nikko Toshogu Shrine Yomei gate. Like the Chinese emperor, he tried to protect the nation and Edo against the North Star. 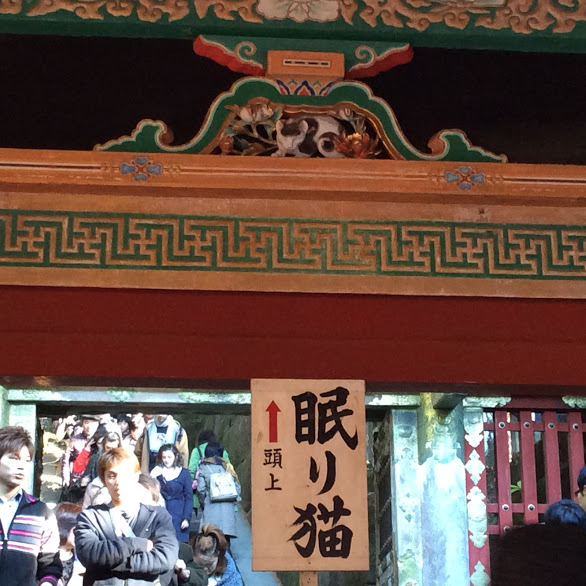 Speaking of Nikko Toshogu, you are famous for the three monkeys that do not see, do not listen, they say no. God Stables is a steadow that keeps the Shinkamen dedicated to God. A famous shrine keeps real horses. By the way, an ema is dedicated instead to a shrine that can not economically hold horses. Monkey sculptures are given to this long stamp of this God Stable (Nagashi). These monkey sculptures are caricatures of people’s lives. Monkeys comforting frustrated colleagues and monkeys standing on the edge of the cliffs are taught that they can overcome the hardship as their friends and their parents will support them. ⑧ Mothers who are conceived will soon see the future of the child monkey. It returns to ①.
Monkey sculpture is given to the stable based on the monsters (umida) faith that the monkey is the guardian of the horse. Buddhist monks’ beliefs are passed from Japan to India through China in the Kamakura period, rationally understood together with Yin Yang, and the horse and monkey are related by Yin Yang’s five-way idea. Besides monkeys cats are famous for Nikko Toshogu. There is a sculpture of a cat called a sleeping cat at the entrance to the mausoleum of the East corridor (Okumoto entrance). There is a meaning that it is impossible for an unclean thing to pass even if it is a mouse. However, behind this sculpture are sculptures of two sparrows, it is said that the town of Edo was asked to make it as peaceful as a cat would not chase a sparrow. The meaning of this sleeping cat sculpture is still a mystery. There is one upside-down pillar in the Yomei gate. The building begins to degrade as it is completed. In order to avoid this aging, it is upside down due to the tongsin tricks that we do not have to complete the building. In other words, Yomei gate is still under construction, and aging has not yet begun. Access: From JR Nikko station / Tobu Nikko station take the Tobu bus “Chuzenji Onsen” or “Yumoto Onsen” and get off at “Kamihashi” and walk 8 minutes. In the case of a car, go down from Tohoku Expressway Utsunomiya IC through Nikko Utsunomiya Road, and get off at Nikko IC. It is 2 km from Nikko IC. ©Copyright2019 神社 ＆ お寺 巡りと 占い.All Rights Reserved.